November is here and the holiday season is upon us. Thanksgiving (for those that observe it) is less than one week away. In our house this means the kitchen is about to get its annual workout with all the baking, Roasting of Turkey‘s preparing desserts and any other item one would prepare for this time of year. This is a time that families come together to give thanks for the many blessings they have received over the past year. 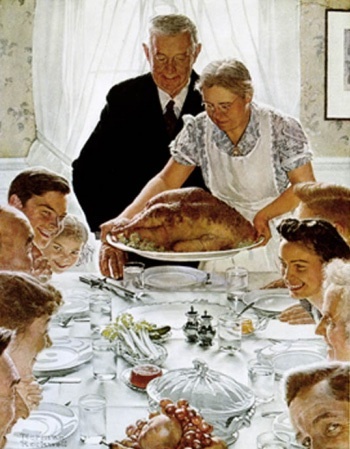 Is Thanksgiving a “Religious” holiday? If I said yes than the atheists and agnostics would claim Foul (no pun intended). If I said No, than I would be reminded that the tradition was started by the Pilgrims to give “thanks” for the bounty that was provided to sustain them through the winter by the Native Americans. What were the Pilgrims? Religious refugees from England. They had come to The “New World” to have the freedom to practice their religion without being persecuted by the Church of England and the crown. Regardless of what other opinions are, Thanksgiving can be a world Holiday. Giving thanks for the blessings we have received does not need a special day once a year, it should be done on a daily basis. Other than giving thanks what is there to this holiday? The first answer from a teenager that shall remain nameless was “Food!” I had to laugh yet agree with the answer. Many in this world do not have enough to eat so to be provided a meal would be a blessing. Here in my neck of the wood’s, as in many others, we supply two local elementary schools with four “Thanksgiving Baskets” to be given to four needy families. 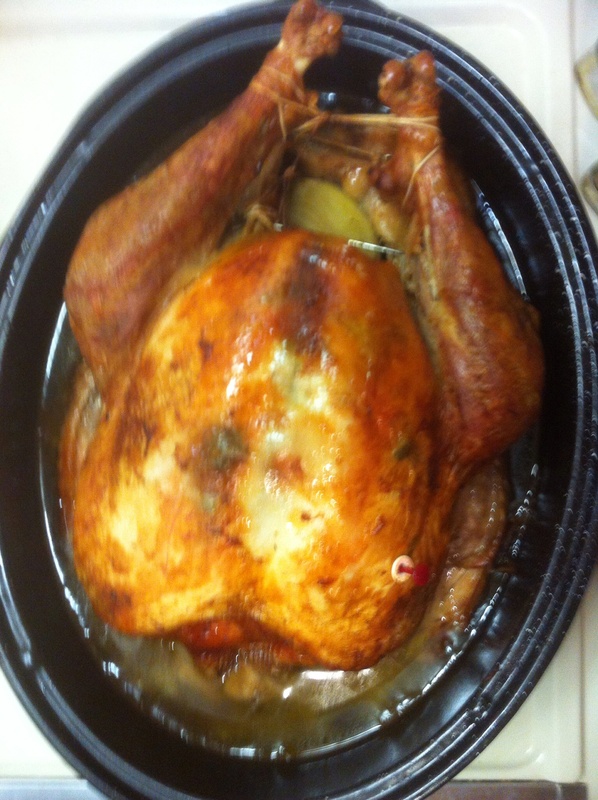 The basket includes a Turkey, and all the dry goods to produce a wonderful meal. All the family has to do is cook the food. That is eight families that will have something to be thankful for. To keep the record straight, when I said “we”, I was referring to our congregation. It has been an annual mission project for many years. We also plan an annual Thanksgiving Dinner for the congregation on the Sunday before Thanksgiving. This year it was decided to do a Pot luck dinner and everybody brings something. A few of us will cook Turkeys (which is what I am during as I type) and the house is full of that wondrous aroma. That will be increased when the turkeys are taken out of the oven to rest before we de-bone them and take the meat and drippings to the Church. We have a member who loves to make the gravy. We take her the giblets, the drippings, and the bones and she takes it all home and makes the gravy. Several gallons of it actually. Service on Sunday is a wonderful time and by the time it is over everyone is ready to eat as the aroma wafts through the church as the meal prep is finished. What do you have to be thankful for this year? Take a Moment and Thank God for waking up this morning. I always like to joke about waking up. Each day that I wake up without a white chalk line around me is going to be a great day! Be thankful for everything that you have. So as I wrap this up and put the proverbial “bow” on it think of everyone you love and be thankful for your relationship with them, then think of those you do not have a great relationship with or that you do not even know and be thankful for them for they like yourself need to be thankful for just being alive and able to give thanks. We have been told to love one another as we love ourselves and to forgive those that have done wrong to us or others as we have been forgiving for the wrongs that we have done. 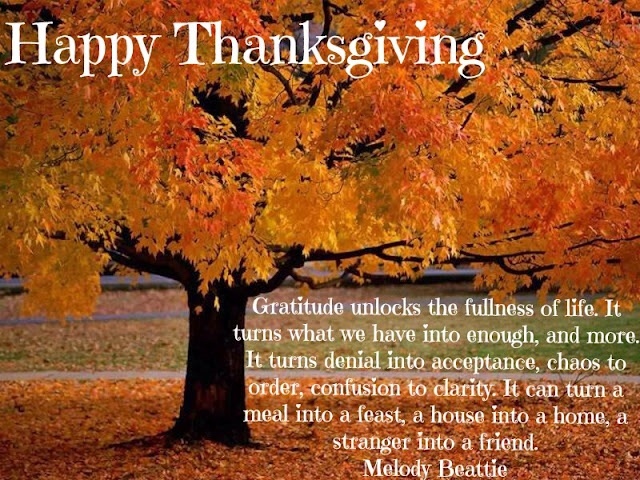 May you have a wonderful Thanksgiving and I pray that all who read this will stop and take a moment to be thankful.